Gemini T is not different. It’s better. 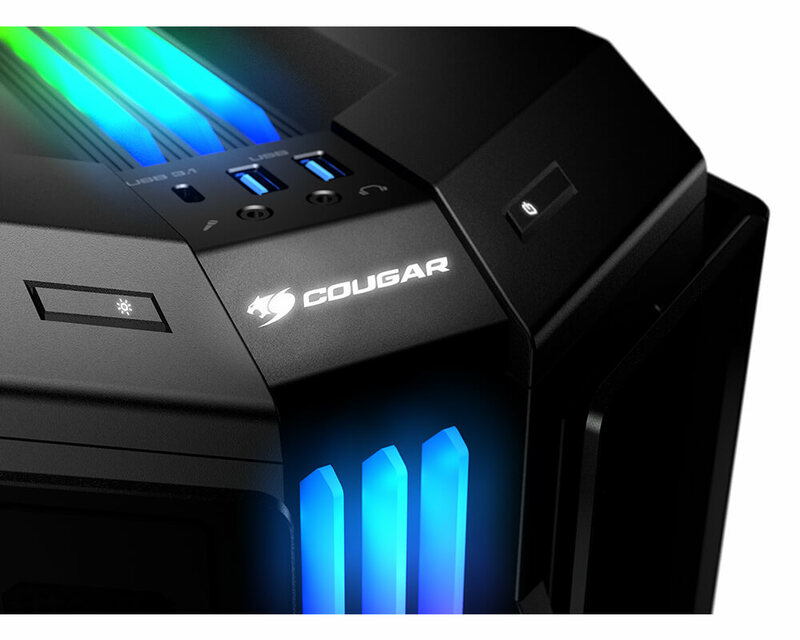 This new case from COUGAR breaks conventions with an intelligent design that combines performance and innovation in a gorgeous RGB-lit package with vertical GPU support. 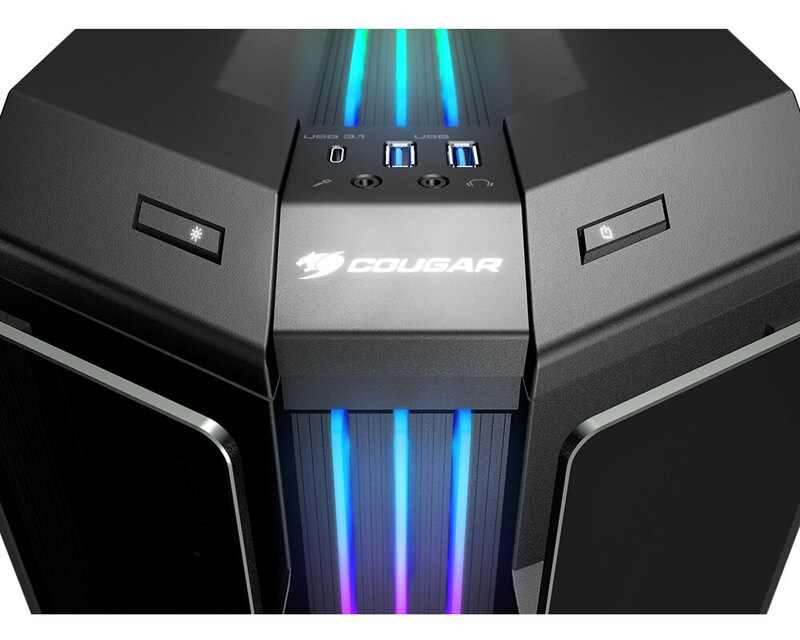 COUGAR’s new Trelux technology provides Gemini T with a powerful lighting system of its own: three long RGB-powered lenses cover the front and top of the case. 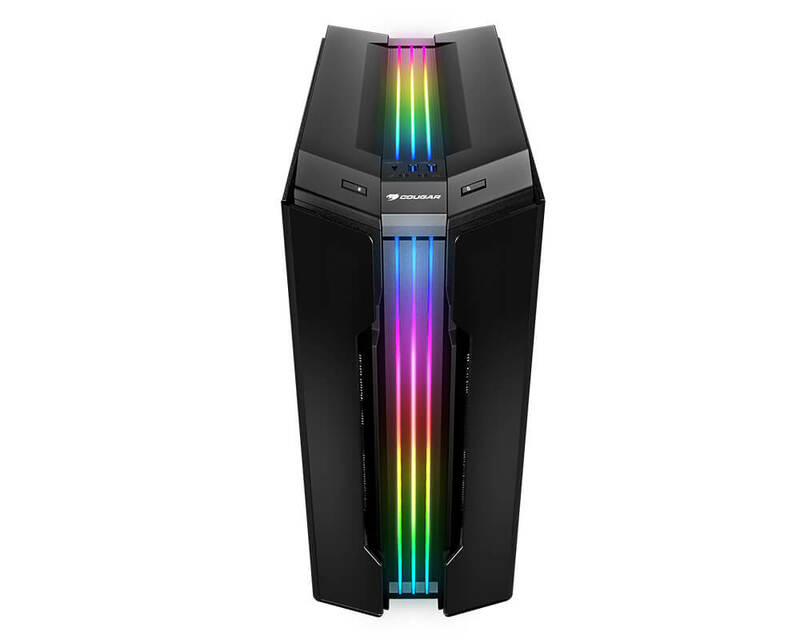 The Trelux dynamic RGB lighting will amaze everybody! 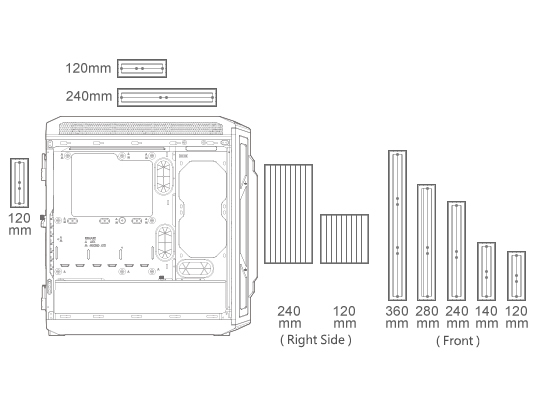 Controllable directly through a convenient front panel button, Trelux can also work connected to a COUGAR Core Box v2 or to a compatible motherboards’ 5V connection for system-wide lighting synchronization. 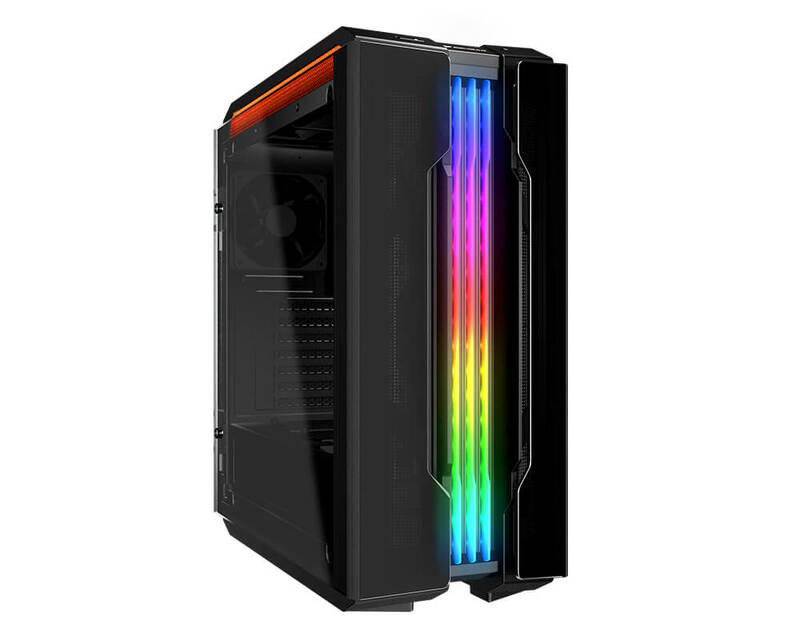 Gemini T is certified for compatibility with Asus Aura Sync, Gigabyte RGB Fusion, MSI Mystic Light Sync, and ASRock Polychrome Sync. 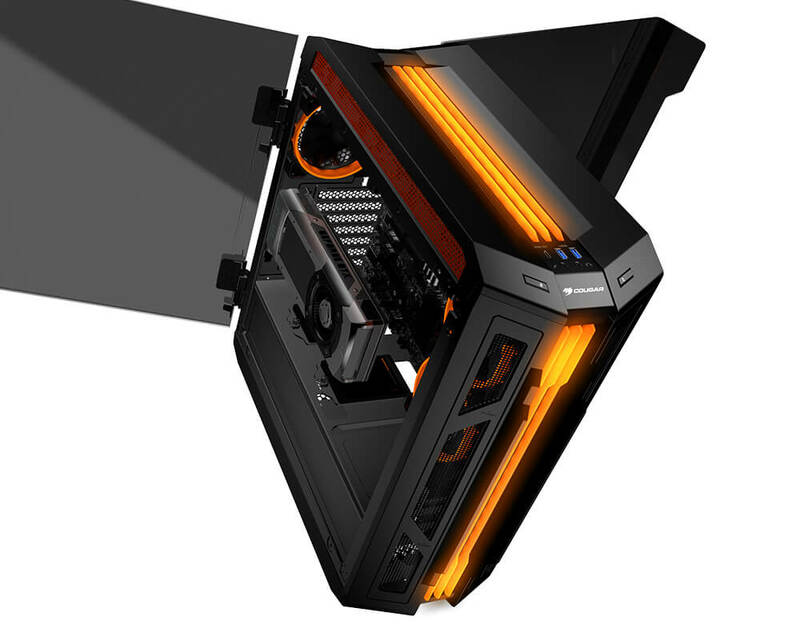 Two massive gull-wing tempered glass side panels flank Gemini T. This unique design gives you a clear view of the computer’s components and makes tool-less maintenance very convenient. Apart from cooling, the two side fans facing the glass window allow you to set up a fantastic lighting spectacle inside Gemini T! 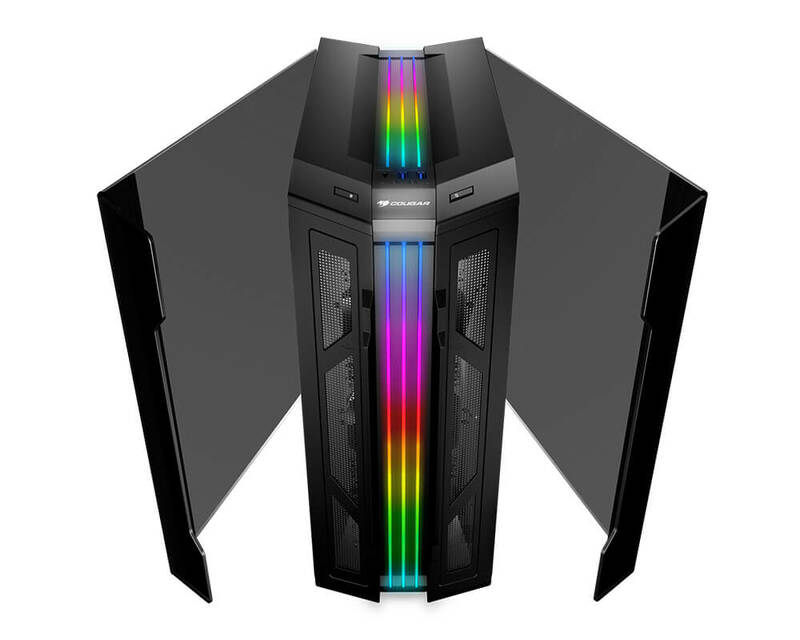 This revolutionary case is both about performance and aesthetics. To bring your system’s awesomeness to the limit, Gemini T supports vertical GPU installation. 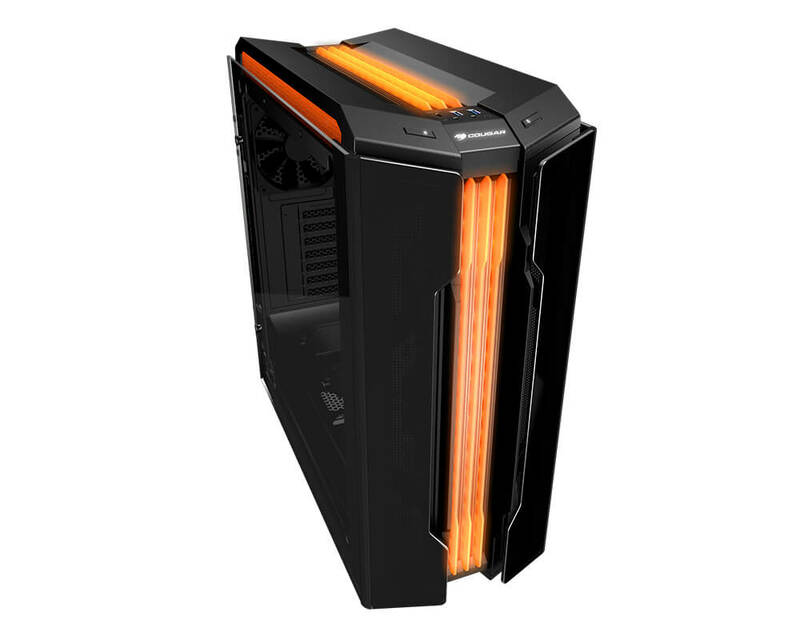 This joins the two supported side fans to produce one of the most incredible side windows a PC case has ever had. Up to seven fans and three water cooling radiators match Gemini T’s support for the latest components with top-end cooling capabilities. 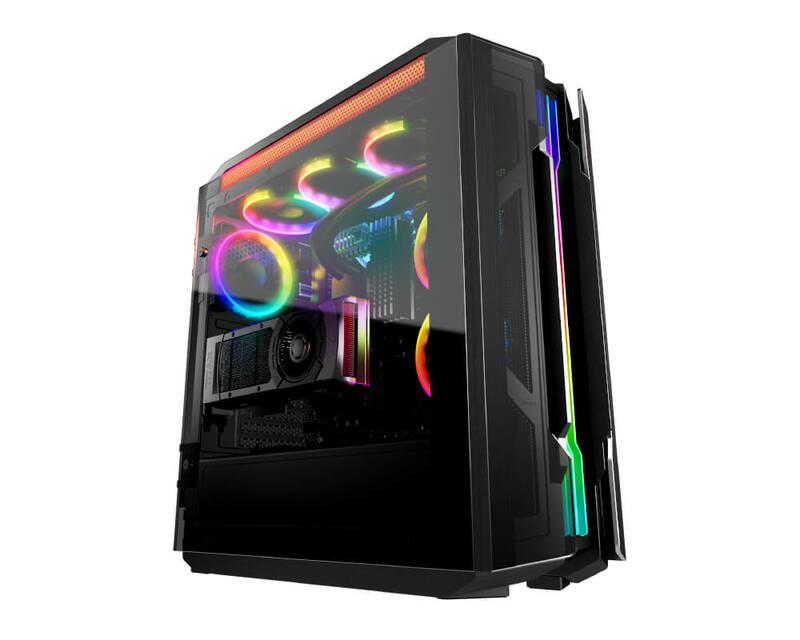 Two big frontal vents with detachable filters guarantee a clear air intake, while two side vents on both sides of the top cover create an excellent way for the exhaust to leave the case without dust getting in.